How has your fitness changed your life – Fitness has changed my life for the better . I have learnt how to listen to and love my body. I have gotten rid of toxic energy and focus all of my energy into my wellbeing. I fell in love with lifting weights after training in an old shed with old rusty plates, also got introduced to the website simplyshredded which got me motivated to join iFitness247. What motivates you to be active everyday – My motivation comes from me trying to be the best version of myself everyday and gym can only get me closer. What’s been the easiest and hardest part during your transformation – The hardest part of this lifestyle is trying to get family friends to understand why I train so often and eat the way I do. Easiest part is definitely friends that back me 1000%. Have you ever had a personal trainer/help – I have been through a few coaches have also completed my cert III & IV in fitness for my own knowledge so I just listen and watch how my body responds and train how I feel works for me. What fitness achievements have you gained – This year (2018) I placed first in figure international – April ICN; 2nd place Sports Model Novice & Open. Also achieved 100kg deadlifts, 120kg squat, 70kg bench press! Can do body weight chin ups, dips and push ups which I never could do within my first year of training. 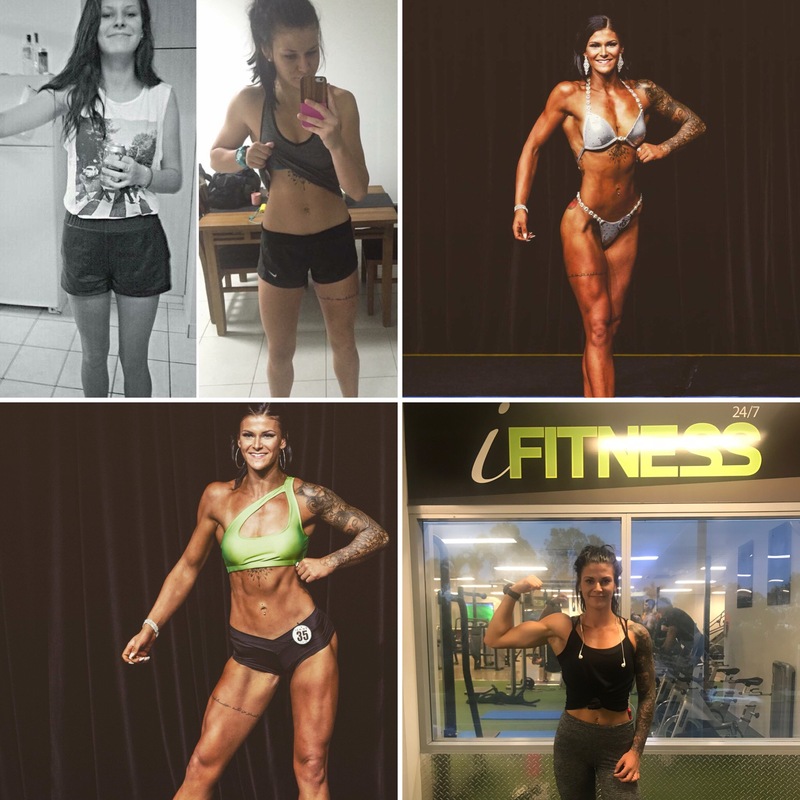 Would you recommend competing to others, and what did you like about it – I liked the process of competing, watching my body react to different foods and training methods. Loved the support from the fitness community and loved the adrenaline rush of being on stage. Would definitely recommend to anyone that wants a confidence boost. I’m not one for getting glammed up but being on stage and having people cheer for the hard work you put in made me feel 10/10. What’s next for you and your training – I am currently training to become an airfield defence guard which is one of the most physical challenging roles in the air force. Focusing more on compound strength movements and endurance. What do you like about iFitness247 clubs – I love iFitness247 because they have 4 different gyms so I never get bored of training in the same club. I also love the fact all the members / staff are friendly and has a positive vibe. What advice would you give to someone thinking about starting a fitness journey – The advice I would give is to find your balance. Listen to your body and don’t be hard on yourself if you fall off the wagon. Everyday is a fresh start to try again. It’s a marathon not a sprint! I’m not the biggest, meanest, fastest, fittest but I sure am happy with how far I have come and it’s only up from here! If you are thinking about getting started on your very own fitness journey and smashing your goals just like Hannah has, follow this link to start your Free Trial TODAY! → Everyone is looking at me!